You don’t need to be a wealthy philanthropist to give back to your community. There are plenty of ways you can help people in need using the skills and talents you’ve already developed with no cash involved. Here are seven talents you can use to give back. If you can swing a hammer, you can help build or repair homes with an organization that provides housing to needy families. Supervised by an actual construction expert, you can help nail, caulk, paint, and more. You don’t necessarily need experience in construction, so if you’re skilled at painting or have put together a treehouse before, you can be a huge help to the team. Community gardens provide great volunteer opportunities with the added bonus of occasionally taking home fresh vegetables. 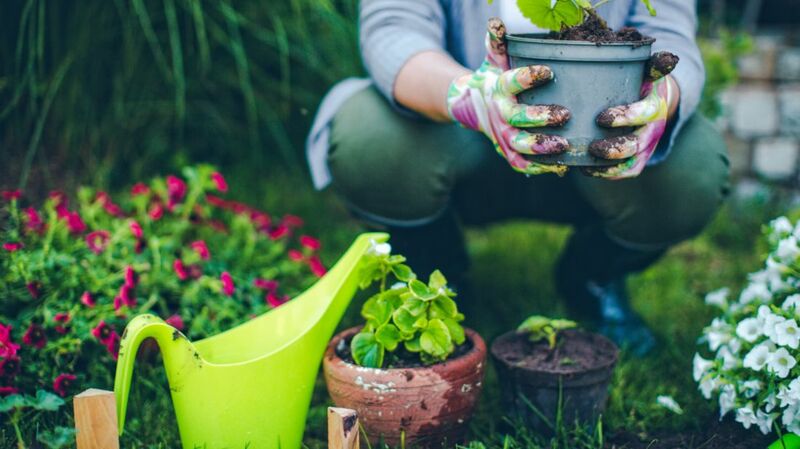 You can help plant flowers or vegetables, germinate seeds, water gardens, or repair tools. A little muscle and a shovel or pitchfork can go a long way when it comes to weeding and composting. And if you happen to be able to spot the different between a weed and a young plant at a glance, well, that might help, too. Not every family can afford to send their child to music lessons, but music education has been shown to improve academic performance and produce significant changes in kids’ brains. Your skills as a violin virtuoso or guitar legend could influence a child’s life for years to come. Some organizations recruit volunteers to teach music to at-risk youth, while others focus on music therapy for people with disabilities or put on performances for hospital patients. No matter your musical skill level, there’s an opportunity to put it to good use. Just about any community effort requires advertising and marketing, whether it’s drawing up flyers for a fun run to raise funds or updating the organization’s website. Not everyone has an eye for graphic design or the image-editing skills necessary to make the job look professional, though, and hiring a designer can quickly get expensive. Spending a few hours working on a nonprofit’s logo might not sound like a big commitment to you, but it could be an invaluable resource to the organization. Plenty of organizations need warm clothes to support their mission. You can donate your knitting—blankets, hats, socks, stuffed animals—to homeless shelters, hospital nurseries, chemotherapy patients, and more through registered nonprofits. Many organizations that care for animals need knitted items, too, especially rehabilitation centers. One organization fits disabled animals with leggings so that they don’t hurt themselves as they drag their hind legs. Another accepts knitted nests for orphaned baby birds. And many animal shelters accept blanket donations to give dogs and cats something soft to snuggle up on in their hard cages. Sometimes, people just need someone to listen. Across the world, there are hundreds of suicide crisis centers that operate hotlines for people in distress. Volunteers are trained to take calls, providing a sympathetic ear during mental health crises and helping people develop plans to make changes in their lives. Volunteers also help callers locate support groups, clinics, and doctors in their community. Some organizations also provide online chat services for people in need, so being great on the phone isn’t necessarily a requirement. Whether it’s through a local athletic association or nonprofits focused on kids with disabilities or mentoring girls, plenty of youth sports leagues need adult coaches who can guide a team through drills, team-building exercises, and competition on a regular basis. Even if you aren’t a former college athlete, your ability to hit a home run or blast a killer serve can be put to good use teaching a new generation of sports lovers. The benefits of coaching go beyond the satisfaction of teaching a child to dribble. It’s a way to mentor youth in your community and make sure that everyone has a chance to get out on the field. And if you don’t have the time to devote to coaching a team, you can also put your sports knowledge to work by refereeing games.